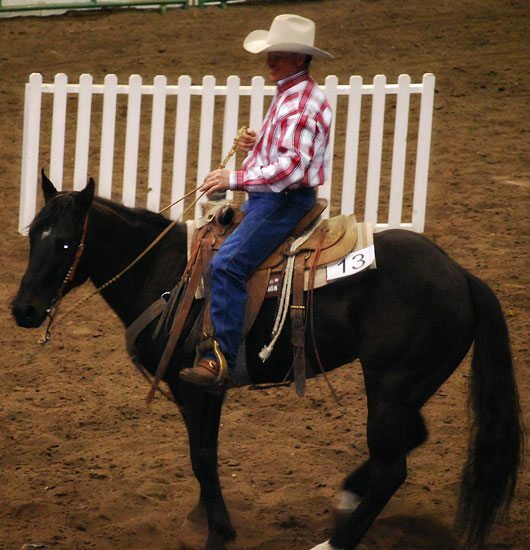 The Farm & Ranch Show on April 10 featured the Performance Horse Sale, a sale of 24 of today’s top ranch, rodeo, penning and show horses to fit buyers’ needs. 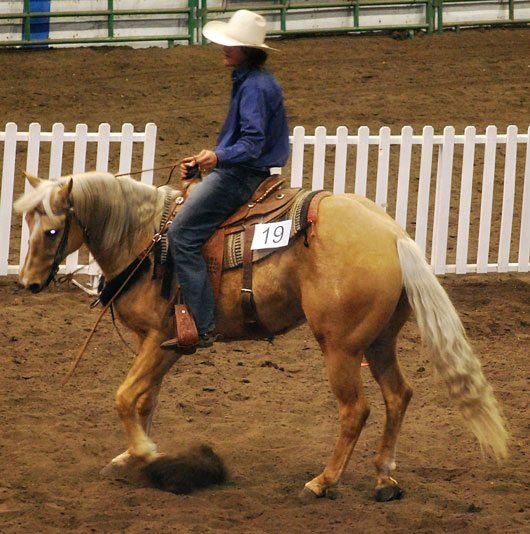 This year’s high selling horse was six-year-old AQHA palomino gelding Misty Boy Rose sired by Chex Bueno Doc out of Go Misty Rose, consigned by Tyler Patten of Buck Lake, Alberta. 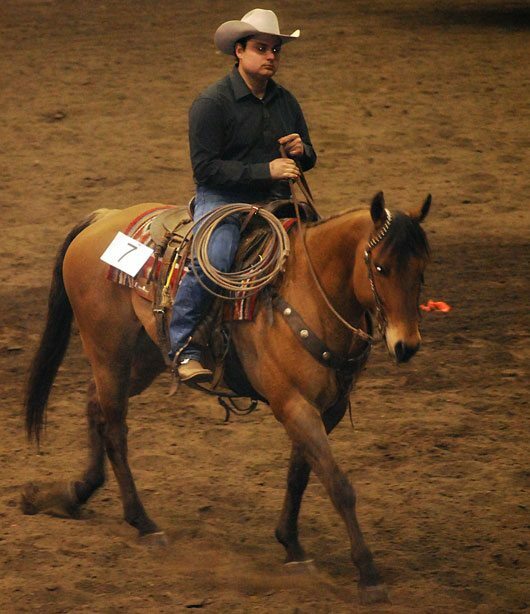 This gelding was purchased by Todd Halina of Spruce Grove, Alberta for $9,200. After being to the preview just the day before, Halina had his eye on his new roping horse and had no intention of letting this golden opportunity pass him by. Second highest seller at the sale, the flashy and well broke nine-year-old AQHA buckskin gelding CW Prime Whisky sired by Sunquest Whisky Hill out of Sheza Ollie, and consigned by Linn Jensen, sold for $6,400. Following up was BSF Short Lil Wil, who has been ranch roped off and earned money in ranch cutting at Alberta Reined Cow Horse Association shows, consigned by Clayton Hines; and Royal Badger Lynx, consigned by Get-R-Done Horse Training, ridden by trainer Kody Potts, a horse that will earn a cheque for his purchaser either heading or heeling. 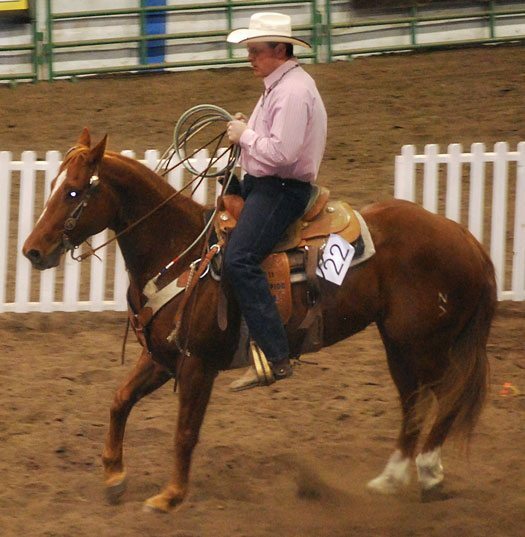 Each of these remarkable horses brought their consigner’s $6,000. Thoroughly liked the film Secretariat. Churchill Downs in Louisville ,Preekness in Maryland and Belmont in NY will be the biggest races. But for Secretariat to win all three races wasn’t easy. Ms Tweedy’s love and Lucien Laurin’s (John Malkovich)training together with intensive efforts of the jockey Ronnie Turcott(Otto Thorwarth)gave Secretariat all the stamina and endurance to win the triple crown. Dylan Walsh as the husband Jack Tweedy was very convincing as a husband who is sick and tired of having his wife far from him and the three children in Colorado out in West Virginia and KY,MD,NY,FL… Randall Wallace directed the movie perfectly. Diane lane is cute….whether she is Unfaithful or under the Tuscan sun or Penny Chenery Tweedy.